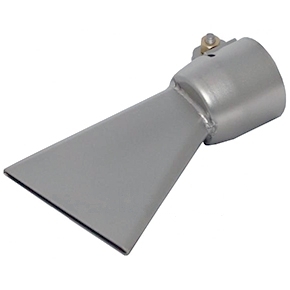 PRODUCT: 60 MM WIDE x 2MM HOT-AIR WELDING NOZZLE (type 107.129). STAINLESS STEEL. PRICE/EACH. * FITS ALL POPULAR HAND HELD HOT AIR WELDERS. PRECISION CONSTRUCTED WITH 304 STAINLESS STEEL.